Economic growth in Brazil has enabled the country to be among the largest economies in the world. However, Brazil has a housing deficit affecting 28.5 million people, mainly in low income markets, with Sao Paulo State having the greatest housing deficit representing approximately 1.48 million houses. Owning a house is a basic need that yields a lot of benefits for families, as it not only provides shelter but also improves sanitation and education conditions among others. At Bamboo Finance, we view housing as a critical component to driving economic growth, and our investment of R$7 million (US$3.6 million) in Bille, a Special Purpose Enterprise (SPE) created by Crinale, a Brazilian housing developer, for building and selling 1,200 houses in the interior of Sao Paulo State, represents a scalable solution to a massive social and economic problem. Housing for low-income people is a problem throughout Latin America, where housing finance schemes are almost inexistent or insufficient and real estate prices are not aligned with purchase power. The Brazilian government and private companies like Bille are helping to break this paradigm. Bille will build quality housing to be acquired by Minha Casa, Minha Vida -financed customers. Minha Casa, Minha Vida, (My House, My Life) is a program created by the Brazilian government to subsidize and finance the acquisition of houses for families with up to 10 minimum wages. The program enables families who have never been home-owners and who without the program wouldn’t be able to afford to buy a house. The program also establishes a maximum price per house that could be acquired using this benefit, so market prices of the houses adapt to the acquisition power of the families financed by the government program. The upfront payment and the monthly installments are defined according to income of the family in order to ensure that people are able to repay their loans. This will enable low-income populations to become homeowners, reduce their monthly expenditure in housing and build family equity. Crinale has developed an innovative business model that it is very simple and at the same time very efficient. They have sped up financing through leveraging private investment funding and therefore decreased the time to deliver the houses. By doing this, the turnaround of the initial funding is shorter and the financial return is higher. Bamboo expects to provide its investors with financial returns between 20-25 percent in R$ terms. 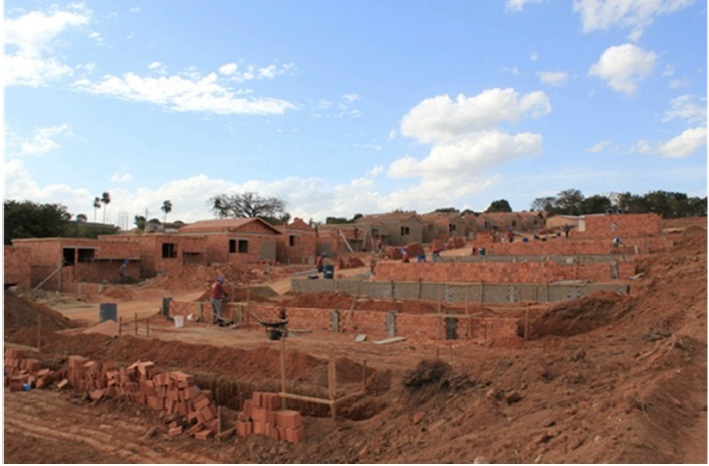 To date, Crinale has completed eight affordable housing projects in five towns, delivering more than 1,100 low-income houses in the interior State of Sao Paulo. Brazil is a fast growing economy with opportunity for social development. We expect Bille to be the first of many ventures in Brazil in which we invest. Natalia Mouhapé is an investment manager and Ana Maria Aristizabal is an investment associate with Bamboo Finance.